From Data Center Physical Perimeter Security to Temporary Rapid Deployed Fence Lines our range of solutions are perfect for any project. FenceSafe-E; Powered by Gallagher’s is the worlds first Temporary Monitored Pulse Fence (Powered Electric Fence) and Host. Providing rapid protection in the most hostile environments. School Security has never been more important. CLD Fencing Systems dedicated School Fencing Systems can help you create a full response to an active shooter by controlling ingress and egress points. For over 40 years CLD Fencing Systems has innovated the Security Fencing Industry with its range of Rigid Mesh Fencing Systems and Security Gates. Working with The JGW Group, we are now able to offer our full range of Physical Perimeter Security products across the whole of the United States of America. This international partnership allows the US markets to Experience the Difference with designed and manufactured Security Fencing to LPS 1175, Secured by Design and across our Securus SR1 and AC range ‘Approved for Government Use’ – please contact CPNI for further information. These international recognized Physical Security Accreditation’s means you are in safe hands when it comes to protecting your perimeter and internal demarcation. From revolutionary Temporary Security Fencing to Sports Fencing used by the top Soccer Teams across Europe, there is a solution to your security problems in our wide range. 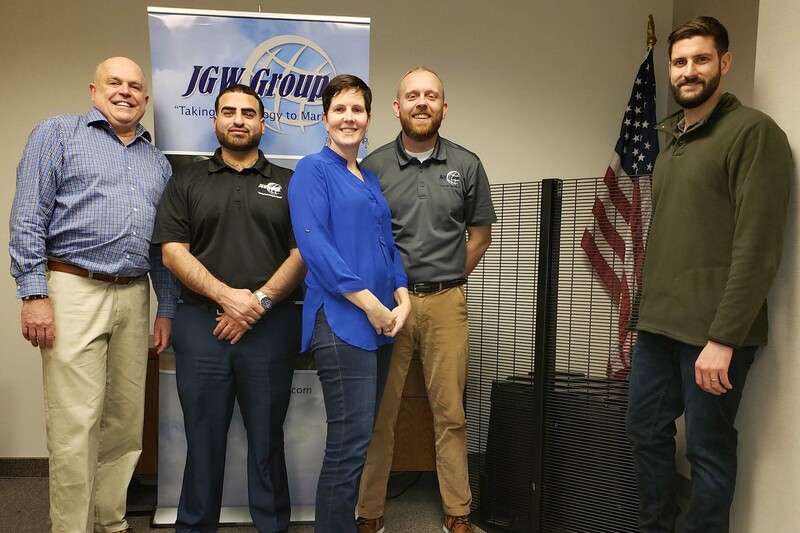 No matter where you are located in the United States of America our partners The JGW Group are on hand to advise you on the next steps in securing your perimeter. All our range of Security Fencing and Gate solutions are shipped direct from our UK Manufacturing Plant. In 2018 we shipped over 100km of Fencing Systems around the world helping numerous projects secure their perimeters. Why should the American Fencing Industry buy British?